January 17, 2017 (New York, NY) — Multiple Stellar Award nominee and winner William McDowell garners 2 more nominations for Artist of the Year and Praise & Worship CD of the Year. Nominations were announced earlier today. McDowell’s double nomination recognizes his work on the prolific Sounds of Revival album. Heralded as the worship album of the year, Sounds of Revival was released in early 2016 to tremendous acclaim. Recorded live in Baton Rouge, LA, Sounds of Revival stood out as one of the top albums of the year because of the project’s exception worship moments and standout vocal performances. Sounds of Revival also won the 2016 Dove Award for Urban Worship CD of the Year. The 6x nominee won his first Stellar in 2014 for his top-selling album Withholding Nothing. In upcoming news, McDowell will release Sounds of Revival Part 2 on March 3, 2017. The ‘all-star edition’ album features a who’s who of contemporary worshippers and singers including Tina Campbell, Travis Greene, Nicole Binion, Israel Houghton, Brian Courtney Wilson, Charles & Taylor and more. The entirely new album is a perfect compliment to the first album which continues to showcase McDowell’s signature worship style while elevating it to a new level. 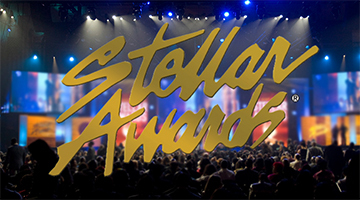 The 32nd Annual Stellar Awards will be taped March 25, 2017 in Las Vegas, NV and will be televised nationally later this year on TV One.